Combining modernism, abstractionism, surrealism, cubism, Pop Art, and some other art movements, contemporary art is sometimes difficult to explain and to understand. 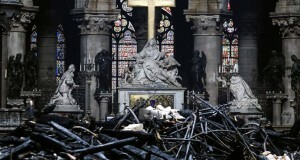 However, it still inspires millions of people, showing them a very different world than the one we live in today. Contemporary art takes many forms. 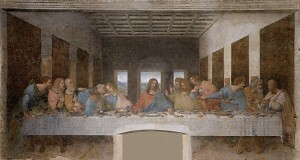 However, be it painting, sculpture, multimedia, or photograph, they all enjoy success on the art market. Needless to say that there are artworks by living artists sold at auctions for millions of dollars, often exceeding their high estimate. In this blog post, we want to introduce several outstanding examples of contemporary art inspired by Haute Horlogerie. Created in a variety of styles, from sculptures to drawings and paintings, this new movement is highly popular today, especially among luxury watch fans and collectors. So if you are choosing art for your home or office, do not miss the works by the following talented artists! 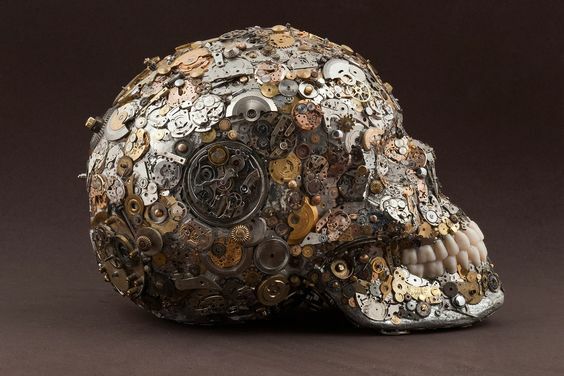 Ruben Pamies is a Spanish artist known for his amazing Kpavio collection of skulls fused with watchmaking parts. Most of his hypnotizing Haute Horlogerie creations are actually real ancient skulls decorated with luxury watch parts to remind us of how temporary our life is, which makes them mysterious and captivating at the same time. Matthew Miller, who is also known as Sunflowerman, is a talented Atlanta-based illustrator with a passion for menswear fashion. 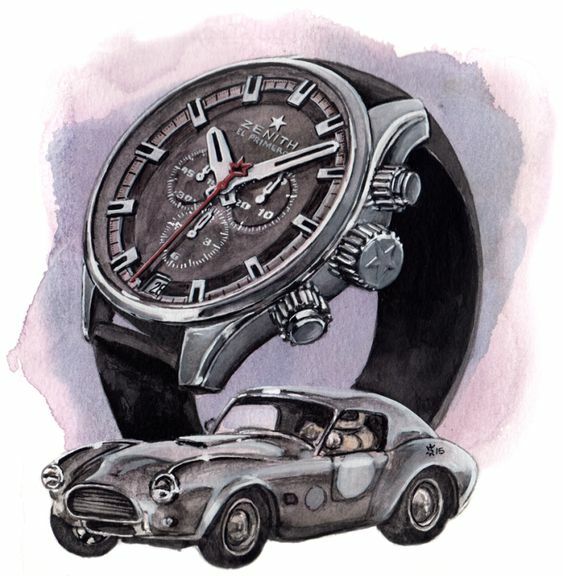 If you check out the artist’s portfolio, you will definitely love his Haute Horlogerie-inspired illustrations depicting a variety of watches for any taste, including an impressive series of works dedicated to Zenith, Longines, and Fossil. 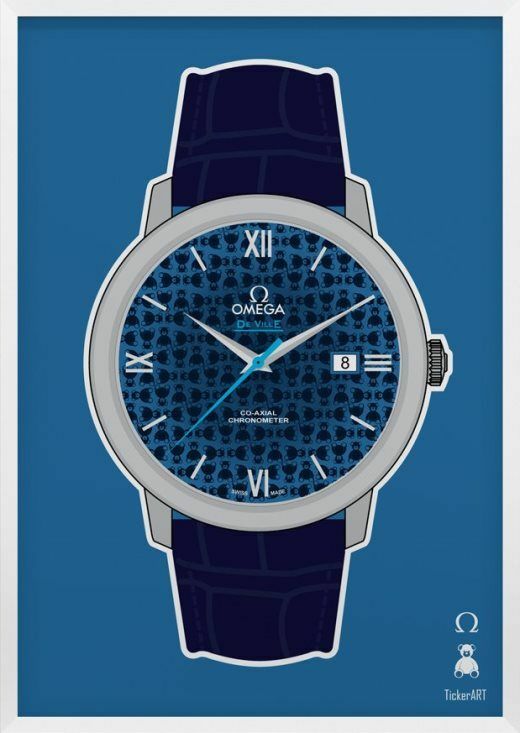 Jon Nelson is a Britain-based artist and a watch enthusiast, who creates amazing fine watchmaking-inspired prints of different sizes, available for sale through the TickerArt website. 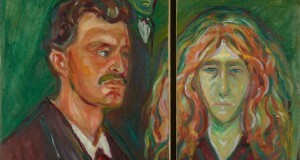 Moreover, all of his works are affordable, giving everyone a unique opportunity to hang his or her favorite luxury watch on the wall. Whether you love bright Pop Art colors or prefer sharp contrasts created with inks and graphite pencils, you will find something special in the collection of prints by Marcus B. Williams. 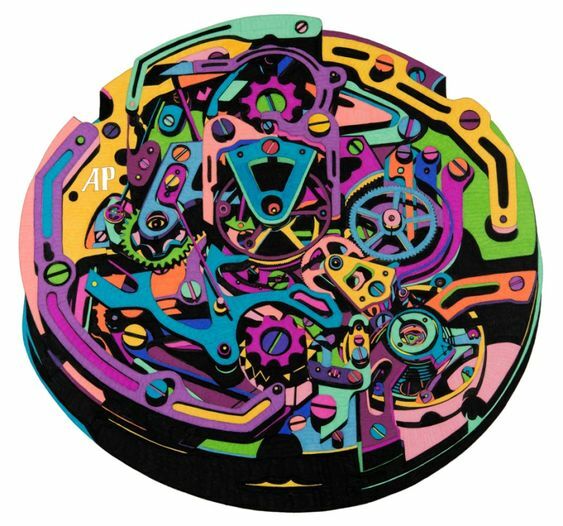 This American artist is known for creating Horological art for serious collectors and luxury watch professionals, with many of his works hanging in elite boutiques and manufactures worldwide. If you are looking for an original piece of contemporary art, pay your attention to the above artists and their fantastic works inspired by the world of Haute Horlogerie. Moreover, most of them come at very attractive prices to meet any budget. 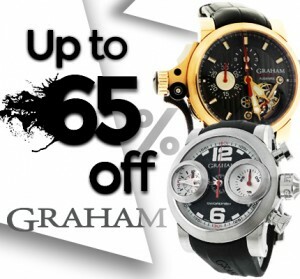 Previous: Welcome to the Amazing World of Romain Jerome Designer Watches!